I don’t like anything anymore. Oh sure, I still like unicorns and rainbows, but that’s where I will draw the line. If it appears that I like anything else, it’s an illusion. A giant smiley face painted over the cracking, crumbling walls of a dam. The worst part is knowing that this pervasive, underlying state of pissed-offedness exists and feeling trapped within it. I have been the nice guy for so long, that I don’t know if anyone would understand how to respond to a change. And the problem with that? I care what they think. Or at least I have. Being the steady, always-available, people-pleaser has run its course. And the end result is that I’m mad as hell. I cannot even begin to understand why I’ve been bombarded in these past three weeks. Whether preparation or refinement, I cannot make heads nor tails of what it is. Part of my motivation in writing this is to have a record to look back upon once God shows me a little more of the plan. In short, anyone who has talked to me regularly has thrown something significant at me. I’ll try to recall the rough sequence as best I can. – A woman I have grown to care about deeply fell and tore ligaments in her knee. – My ex-wife called out of the blue to apologize for any wounds she has caused me; words I waited the better part of eight years to hear. – A young lady who has become like a adopted daughter called me in tears, ready to quit school and life. – One of my best friends sat with a loaded gun in his lap ready to end it all. – My best friend’s wife has been asking how to save her husband and her marriage, racked with guilt. – A good friend had a physical fight with her cousin. – A good friend had her heart broken when a man she liked drunkenly kissed her sister in front of her. – Another adoptive daughter made a steady decline until she texted me that she had just swallowed all of her medication. I was powerless as I listened to her crying on the phone saying she couldn’t breathe. – The friend who had the fight let me know that I had failed to be properly available and went silent. – The woman I have cared for deeply told me that she has chosen her former lover rather than meeting me to explore what could happen in our relationship. – A good friend who is going through a divorce is still fighting for parenting time, a process that has been more than two years without resolve. – A family member had a mental break and is presently hospitalized. – A third adoptive daughter called me to ask me to rescue her runaway younger sister and then, a little later, her mom who had an abusive man in her home. – A friend told me he and his wife will be soon divorced on paper for financial reasons, though they nearly did for marital reasons a year ago. I wish I was making some of this up. That would be easier. In the meantime, all I had to do was finish a semester of three classes, continue parenting my very active sons, cover Mother’s Day for my mom and the mother of my sons, release three puppies to new homes, find a new home for one of those three, fund an adoptive daughter’s driver’s license test and gas money so that she can start working, and realize that there is no one to listen to all of this. Except God. Yes, I get that. Frankly, that’s part of the problem. Not God, per se, but just our communication. This crumbling and cracking has been a long time in the making. My Pleasantville childhood, where everything went according to plan, is a distant memory that sits like a foreign country 100 miles away. Work with sexually, physically, emotionally abused children, divorce from a mold-breaking interracial marriage, life as a single parent who always keeps one foot in the single door, bouncing from job to job unsatisfied, being fired for following God and not policy, watching my name be tarnished and my friends fade away – this is long overdue. I know that I’m not mad as hell. I’m mad at hell. But the way it has been coming out doesn’t like that way. My vocabulary has grown uncomfortably profane. I dislike the church service that does everything but worship God. I can’t stand the sermon that sounds like a self-help message. And this overlying anger, covering the hidden wounds, has made me a pressure cooker unchecked. When the young man on a bike cuts in front of me as the light turns green, I’m mad. When the neighbor’s chihuahua sneaks into our yard for the third time in a day, I’m mad. When the organization that fired me sends me their colorful newsletter in spite of my request to stop, I’m mad. When robocalls ignore the do not call list and continue to operate without consequence, I’m mad. When ignorance pervades on social media, I’m mad. The list could go on, but I’m grateful that no other examples come immediately to mind. If this present string of events is meant to be a course correction, then I will stop and wait. And I will start my stopping by engaging in some new behavior patterns. 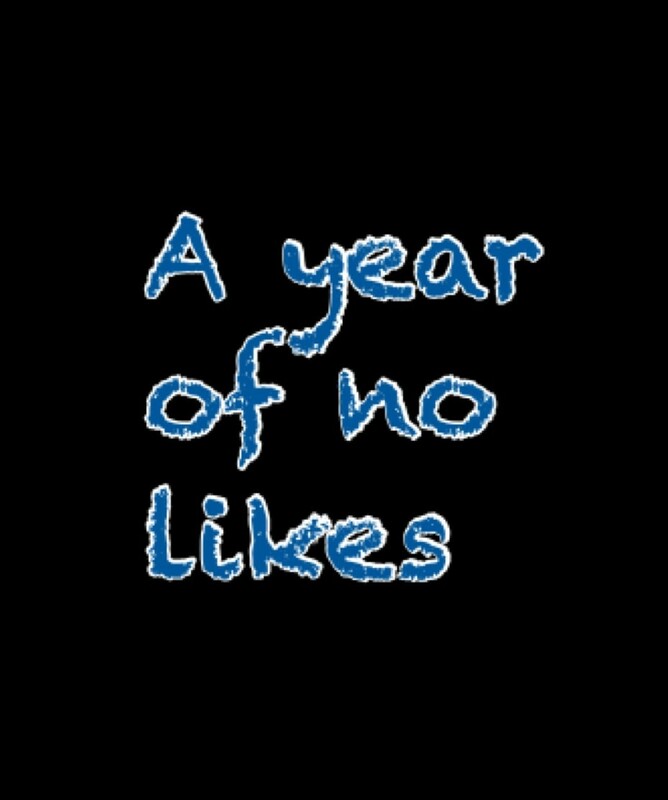 No more likes. I won’t favorite your tweet. I won’t like your post on facebook nor on Instagram. I won’t even swipe right on Tinder. Social media has given me everything that I want, and yet nothing that I need. God, with your help, I will no longer be mad as hell. If it is your will, I’ll be as mad at hell as you allow. Something must change, not with you, but with me. Change my heart to change my eyes. Let me see as you do by loving as you do. And when I break, restore me.